Frank was born in Burbage, Buxton, in May/June 1898 (baptised 31 July at Christ Church, Burbage), the son of John Henry [Jack] (Railway signalman) [see: Footnote below] and Charlotte (née Plant) Thorpe of Tissington, Derbyshire (1901 Census RG 13/3239). According to Frank's Service Papers he had two younger brothers, John Herbert and Reginald, and three younger sisters, Jessie, Marjorie and Ruby Irene. There is no record of the family on the 1911 Census, although 'The Buxton Advertiser' of the 19th November 1917 gave the family home address as '31 Lime Terrace, Buxton', as do his Service Papers, which also gives Harry's stated occupations as "Grocers Apprentice". At that time he was 5 ft. 5¾ ins. (1.67 m) tall. His religion was given as "Wesleyan". In reporting Frank's death, 'The Buxton Advertiser' of the 9th November 1918 gave more information about his employment, saying that he: "... was formerly employed as a grocer by Messrs Wood and Sons, Higher Buxton. He was a youth greatly esteemed and his death is much regretted." The 'Advertiser' also stated that Frank's father, John, served with the Royal Engineers in Palestine, and that "... he was suffering from malaria ..." at the time. [see: Footnote below]. In 1919 Franks's mother, Charlotte, received £7 17s 1d [£7.85] allowance, equivalent to about £488.70 today . Frank was called up for Service on the 13th February 1917 and posted to the 2/5th East Surrey Regiment in Derby two days later, although on his Service Papers he gave his preference as the 'Royal Garrison Artillery'. The 2/5th had been formed at Wimbledon in September 1914 as a home service ("second line") unit. 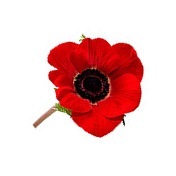 On the 21st March Frank was posted to the 5th (Reserve) Battalion. Just 5 months after enlistment, on the 19th July 1917, Frank was posted to the 12th Battalion in France, landing the following day. He transferred to the 13th Battalion on the 14th August. The 13th (Service) Battalion had formed at Wandsworth on the 16th June 1915 by the Mayor and Borough and adopted by The War Office on the 28th August 1915. On the 23rd February 1916 the Battalion had moved to Blackdown and transferred to 120th Brigade in 40th Division. It landed at Le Havre on the 4th June 1916. When Frank joined the 13th Battalion, in August 1917, the 120th Brigade was between major engagements. However, on the 15th September 1917 Frank was wounded and admitted to the 137 Field Ambulance suffering from a gun shot wounds to his shoulder. He returned to duty on the 1st October. 'The Buxton Advertiser' of the 10th November 1917 briefly reported that Frank: "... has recovered from a gun shot wound to his left shoulder and is now back with his Battalion." Frank was reported missing after 131 days in France, on the 26th November 1917, but was not presumed killed in action on that date until the 18th September 1918, ".. on lapse of time as having occurred on or since". In all he had served a total of 287 days with the Colours. I received the notification from you today stating that my son, Private F. Thorpe, 203711, 13th East Surrey Regiment, was wounded on Nov. 26th. I am in great distress over him as it is now Dec. 24th and the last letter he wrote me was on Nov. 17th. I should be most grateful if you could please let me know all particulars about him as the suspense is too awful for words. My husband is with the forces in Egypt which makes it harder for me. 'The Buxton Advertiser' of the 9th November 1918 reported that finally Frank's mother has "... received intimation that the death of her son ...... is presumed as from November 26th 1917, the date he was reported missing." At the time Frank was reported missing the 40th Division were fighting in "The Cambrai Operations", and the 13th Battalion War Diary shows that at 4.00 a.m. on the 23rd November it marched from Lebucquière, via Demicourt and crossed the Canal Du Nord, arriving into the Hindenburg Support Line. The next day Frank's Battalion took part in the operation at the North-west end of Bourlon Wood and Bourlon. The Commanding Officer, Lt. Col. H.L. Warden sent a long despatch details the Battalion's action, which cost it one Officer killed in action (2/Lt. 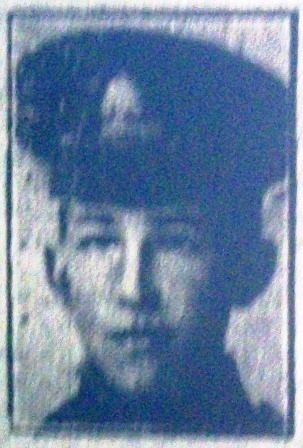 Cecil Iranhol Henderson); one Officer died of wounds (2/Lt. Frederick George Wheatcroft), and three Officers wounded or missing. Other Ranks had 31 killed, 4 died of wounds, 111 wounded and 71 missing. Frank was one of these missing, later to be confirmed as killed in action. These figures were later revised and the CWGC now has 74 Officers and men of the 13th Battalion killed in action on the same day as Frank, the 26th November 1917. 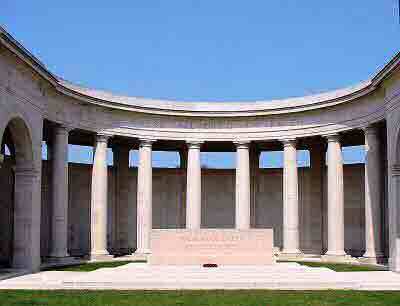 All but 7, including Frank, have no known grave and are now commemorated on the Cambrai Memorial. in Palestine. After the War he returned to Burbage but was accidentally killed on the 8th March 1921. He is buried in Burbage Churchyard.